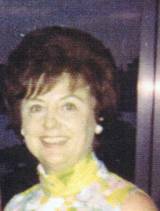 Rita M. L'Heureux, 86, formerly of 350 Greylock St. in Lee, died Thursday at the Laurel lake Center in Lee. She was born in Pittsfield on July 31, 1924 the daughter of Joseph and Jeanne Zimmerman McDonough. She was a graduate of Lee High School, Berkshire Business College and Pittsfield Secretarial School. Rita joined the Lee National Bank in 1942 and in 1970 she became the first woman in the 135 year history of the Bank to be elected to senior office status when she was elected vice president. Long active in banking and civic organizations she has been on the board or governors of the American Institute of Banking, Berkshire County Group Safe Deposit Association and on the council and operating committee of the Lee United Community Fund. She was a communicant of St. Mary's Church and former member of its Parish Council. Her husband Thomas L'Heureux whom she married April 17, 1948 died July 9, 2010. Rita leaves her two nieces Kathryn A. Anderson of Braintree and Jeanne M. McCormick and her husband John of Weymouth. A great nephew Alex McCormick and great niece Katie Newell. She was predeceased by her sister Marie Anderson. The Funeral for Rita L'Heureux will be held Tuesday Jan. 4th at 10:15 from the Kelly Funeral Home in Lee with a Liturgy of Christian Burial at 11am at St. Mary's Church with burial to follow in St. Mary's Cemetery. Visiting hours at the Funeral Home will be Monday from 4-7pm. In lieu of flowers friends wishing may make donations to St. Mary's School in care of the Kelly Funeral Home 3 Main St. Lee, Mass 01238.